…Do you know what they’re learning? 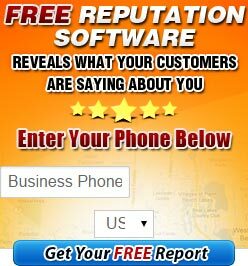 Whether we wanted it or not, Google has ingrained itself into our daily lives, and, whether you’re aware of it or not, your online reputation on Google is severely impacting your business and its ability to generate profits, especially if you’re not engaging in online reputation management. Your Own “Custom” Branded Review Page Right On Your Website! Why Take Your Customers Away From Your Site, Like Many Lesser Services Do? You get a custom designed “Survey and Review” page placed right on your website, for instant feedback and reviews from your clients, customers and patients. The Most Current 5-Star Raving Reviews Posted Right On The “Home” Page Of Your Website! The client video testimonials (Text and Video Reviews)are posted right on the Home page of your website for everyone to see! This is VERY powerful “social proof” on your website. 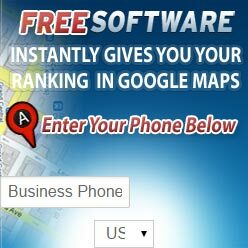 Imagine, every time a new visitor lands on your website, they see all these amazing 5 star reviews about your business. We can even add your video testimonials in the same column with the text reviews, and each review can be clicked on which will immediately redirect the visitor directly to the local search site where the review was originally posted! We send you “Alerts” to immediately notify you of a newly posted negative or positive review. We send you your own “review report” that shows you ALL the reviews that you’ve received on your 3rd party sites. Facebook, Twitter and Linkedin etc. (for even stronger social proof for your business!) Imagine the impact of not only seeing your 5 star reputation reviews on your website, but also, on all the social media networks and social media sites. Your 5 star raving reviews broadcast for all the world to see! We Not Only Help You Develop A 5 Star Reputation, But Then We Market That 5 Star Reputation! This is the MOST complete marketing system ever developed to get your business or practice more new “pre-qualified” patients, clients and customers than any other form of advertising. It doesn’t matter if you spend thousands of dollars on marketing if you don’t have at least six to ten 5 Star reviews.